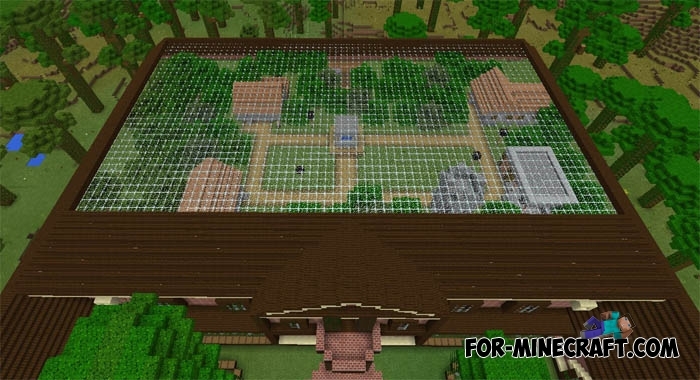 Rugged jungle mansion is a very cool building for Minecraft PE, which has a large size and many functional mechanisms. This mansion has almost everything! Here you will find the farm, enchantment room, a work portal and even a mini village with a smithy and all this is located inside of the mansion. Can you imagine how huge this building? Modern Mansion map for MCPE 0.14.1/0.15.0The Modern Mansion map contains a magnificent mansion with lots of different interiors in it. Enchanting & Experience mod - Experience and enchantment in MCPE 0.9.5 / 0.10.0With this cool mod you can enchant your items, and each item will be enchanted to have his ability.